Now that you’ve finally chosen a stone for your wedding ring, the next thing is choosing the best setting of the stone. Though the center of the attraction of a ring is the stone, the setting flaunts its assets and displays the stone in a position that would work to its advantage. Here are the seven types of ring settings available in Singapore jewelry stores. This is the most preferred type of ring setting, which involves three to six claw-like appendages that holds the stone in place. Prong rings for your wedding bands in Singapore can be pointed, flat, rounded, or V-shaped. Each sub-category is best for a specific stone shape. The marquise, pear, and heart shaped gemstone, for instance, looks best on a V-shaped prong; while emerald cut is best for flat prongs. The more “claws” are used, the more security there is to hold the gemstone firmly in place. 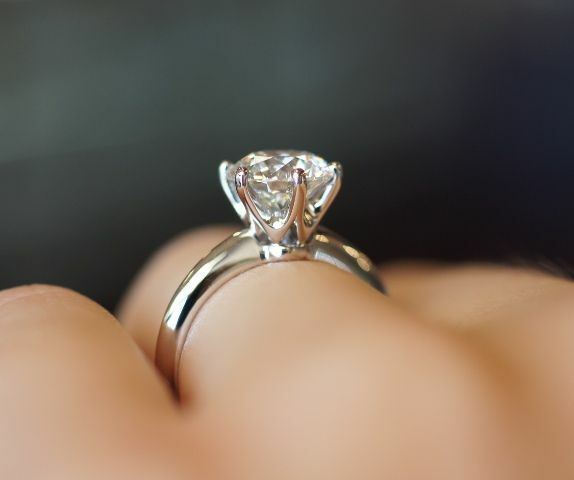 However, too many prongs can reduce the appeal of a smaller stone. When used appropriately, the setting allows maximum light exposure and makes the stone easier to clean. An engagement ring in tension setting gives an appearance of a floating stone in the middle of a band, as it is being compressed by the ring’s two ends. 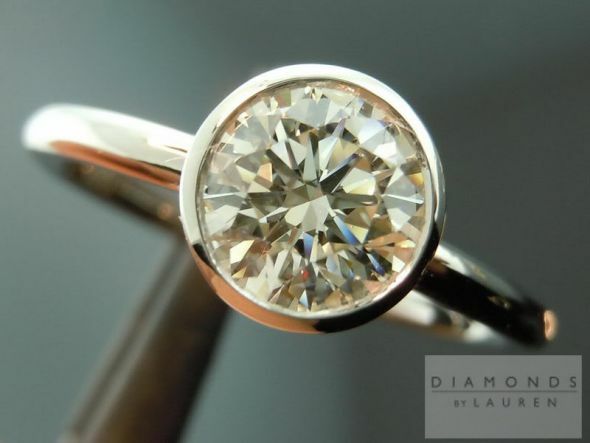 This ring setting is very stunning and elegant to look at, but is limited only to extremely hard stones (e.g. rubies, sapphires, and diamonds) due to the pressure required to hold them firmly in place. The advantage of the tension setting is that it exposes the stone to tremendous amount of light, giving the gemstone more shine. 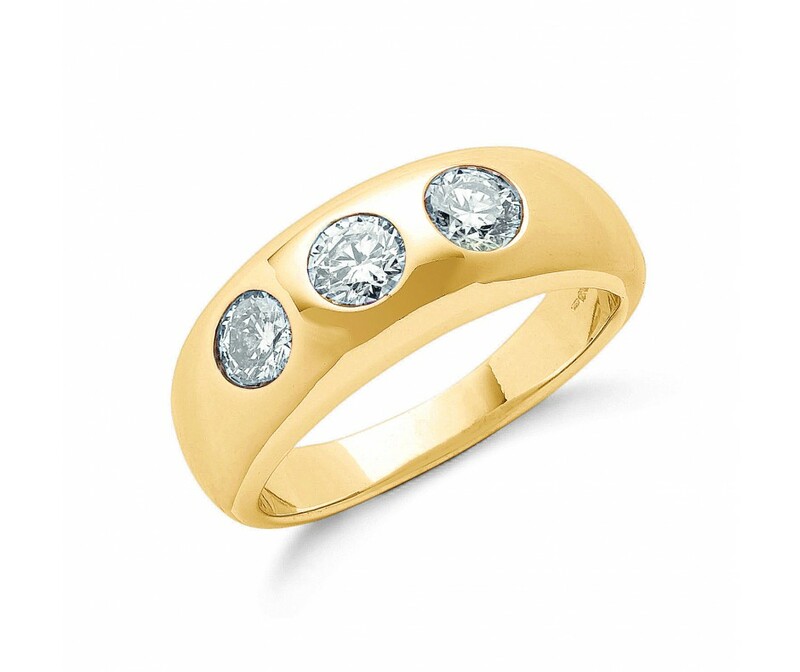 This is a setting that partially or fully surrounds the wedding bands gemstone’s perimeter. Among of the greatest advantages of bezel setting is that it provides maximum protection to the gemstone’s underside, security to the placement of the stone, and concealment of preexisting flaws. Also, if you have the metal in the same color of the gemstone, this setting would make the stone look bigger. A popular choice for a wedding ring, this setting features a row of stones placed side by side – with no metal separators — between two rows of metal, creating a stunning channel of precious stones in a band. The stones used for this setting can either be square or round, though it’s important to bear in mind that square-shaped rocks are more costly than round. Channel setting perfectly secures the stones in place while creating a well-polished look and unobtrusive ring surface. The bar setting is quite similar to channel setting, except that this wedding bands setting uses metal bars in between gemstones to separate them from each other. This setting provides a relatively smooth surface, protection to each stone, and adds a contemporary touch to a traditional look. A French word for “paved,” this setting involves three or more rows of tiny gemstones around a proposal ring. The stones are fitted into the holes to create a leveled band surface. A ring in pavé setting looks luxurious and elegant because of numerous stones installed on it. However, this setting doesn’t provide smooth ring surface and is not as secure as other ring settings. A popular wedding ring for Singapore grooms, gypsy setting places the gemstone into the metal of the band so it would not protrude from the ring. The setting provides optimum security to the stone and conceals any flaws in the gemstone. However, rings in this setting are more expensive and very time-consuming to create.